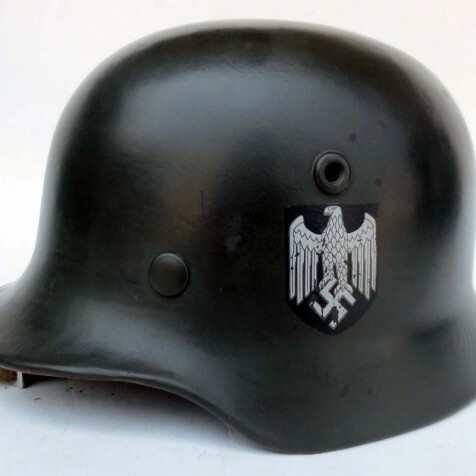 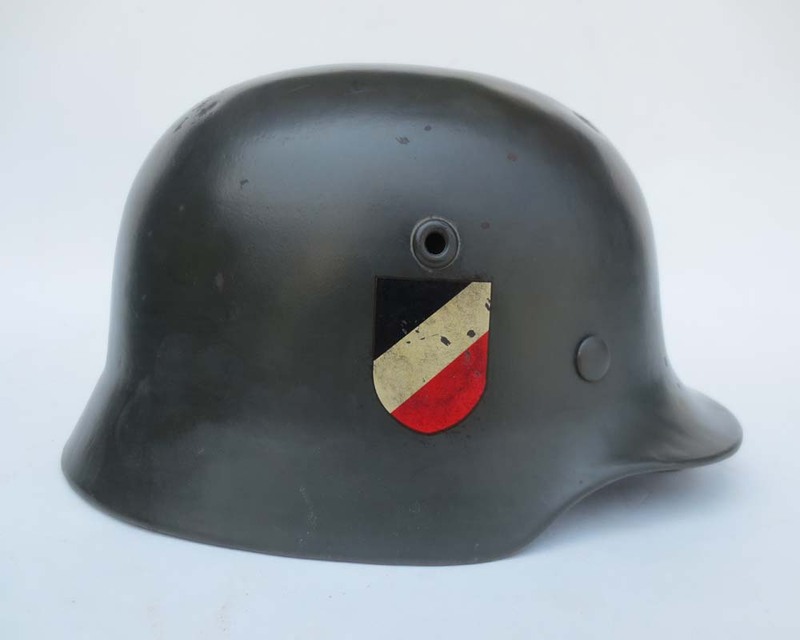 This is a extreemly rare M35 proto-type helmet. 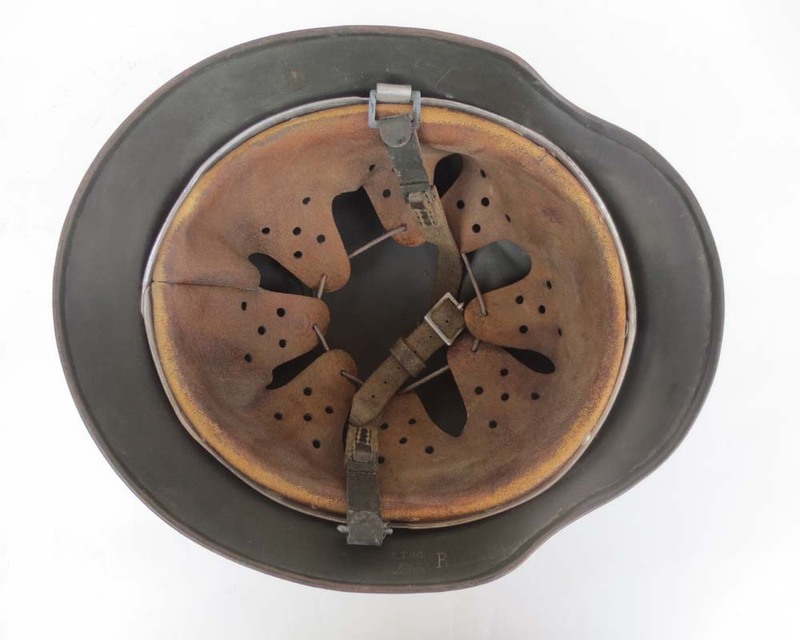 A small number of these were made in 1934 for field trials. 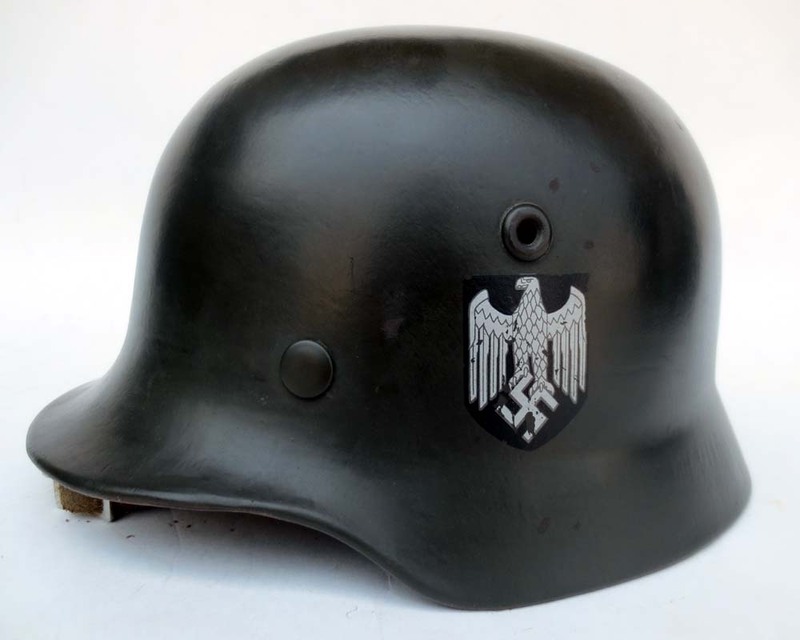 Helmet has been painted a smooth pea green and features a M31 un-reenforced liner and double carbine clip chinstrap. 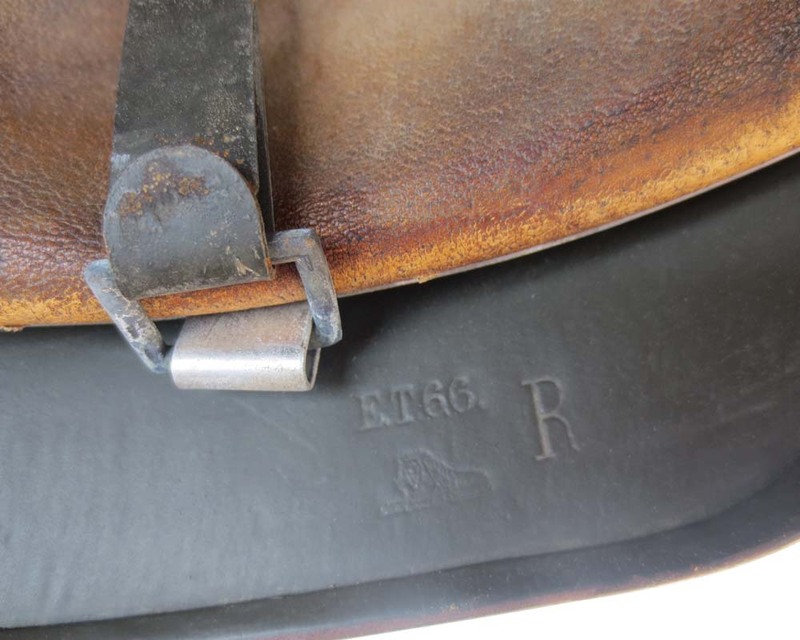 The R stamped on the skirt indicates the helmet is a proto-type.